The 2018 XTS, which will be 1.1 inches shorter than the current model, will get new headlights, taillights, fenders and front and rear fascia. DETROIT -- Cadillac is updating the chassis, infotainment system and styling of its Ontario-made XTS sedan for the 2018 model year to help it continue to co-exist with the larger and newer CT6. The XTS is assembled at GM Canada's Oshawa, Ont., assembly plant. The changes, including a new grille, LED lighting and re-engineered front seats, show the brand's renewed commitment to the XTS, which had been widely expected to be killed off within a few years of the CT6's arrival last year. After the XTS became Cadillac's top-selling car last year in the United States, brand chief Johan de Nysschen promised a "major refresh." The CT6 outsold the XTS in Canada 880 to 707 units in 2016. 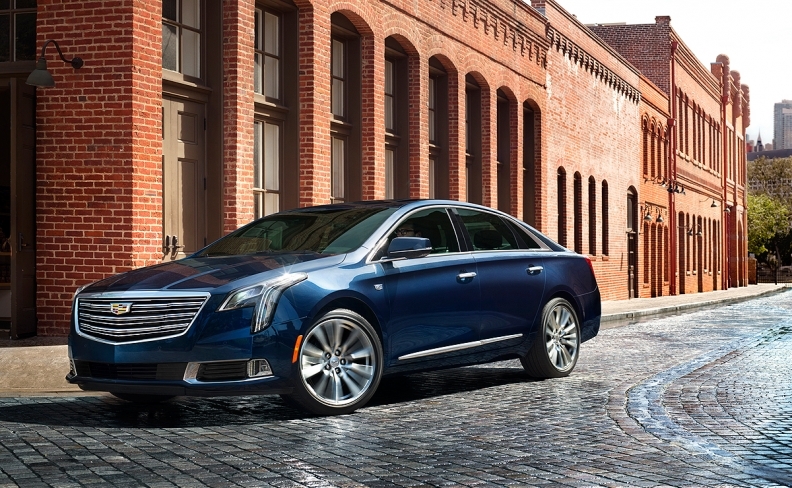 So far this year, XTS sales are up 62 per cent through the first five months, up to 121 units sold. The 2018 XTS, which will be 1.1 inches shorter than the current model, will get new headlights, taillights, fenders and front and rear fascia to make the car more closely resembles the CT6, Cadillac said in a statement. Inside, the XTS will feature the next-generation Cadillac User Experience infotainment system, which debuted on the 2017 CTS. Cadillac said modifications to the front seats' foam geometry, wire frame structure and heat pad make them more comfortable, while increased sound insulation results in a quieter ride. There are several new interior color and trim options. Powertrain offerings are unchanged, and the twin-turbo-powered V-Sport edition will be carried over as well. The 2018 XTS is scheduled to go on sale this fall.